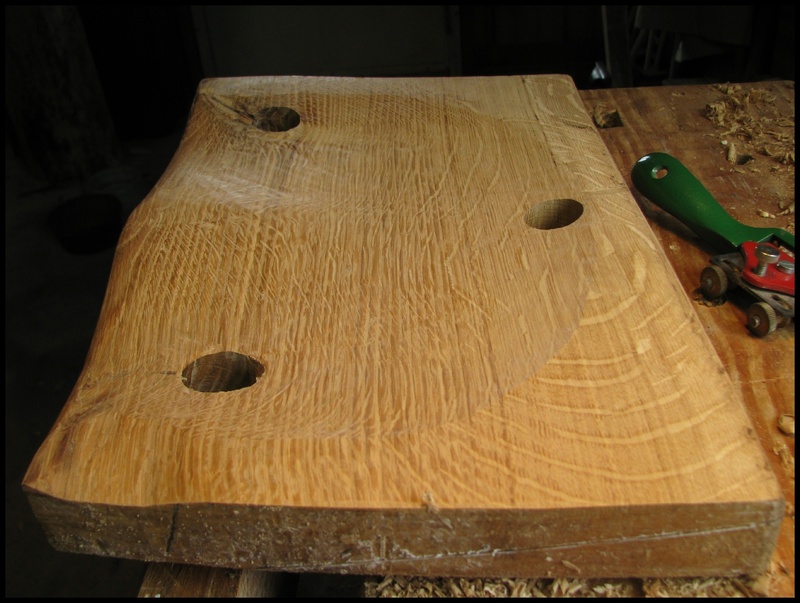 Below are some pictures of the second three legged stool of post oak. They are a pair but with differences. 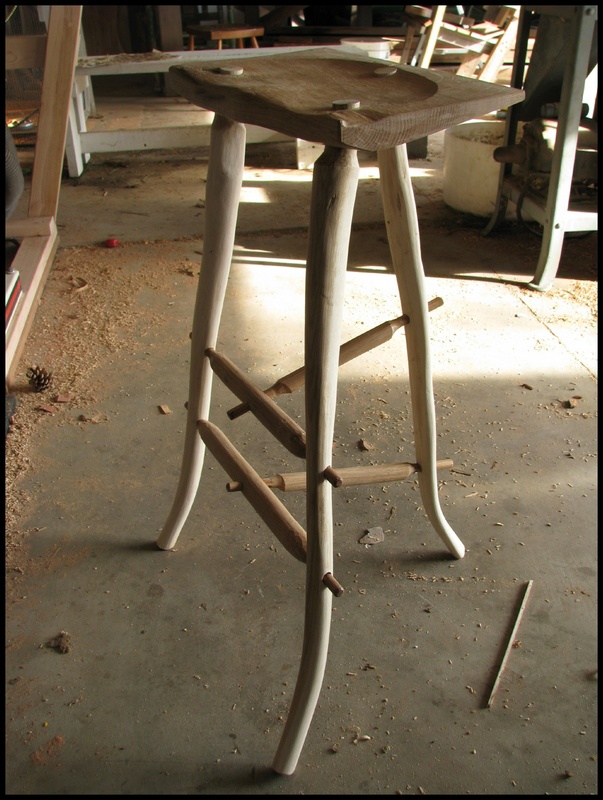 The rungs on this newest stool are in a “T” rather than forming a triangle connecting leg to leg as in the first. 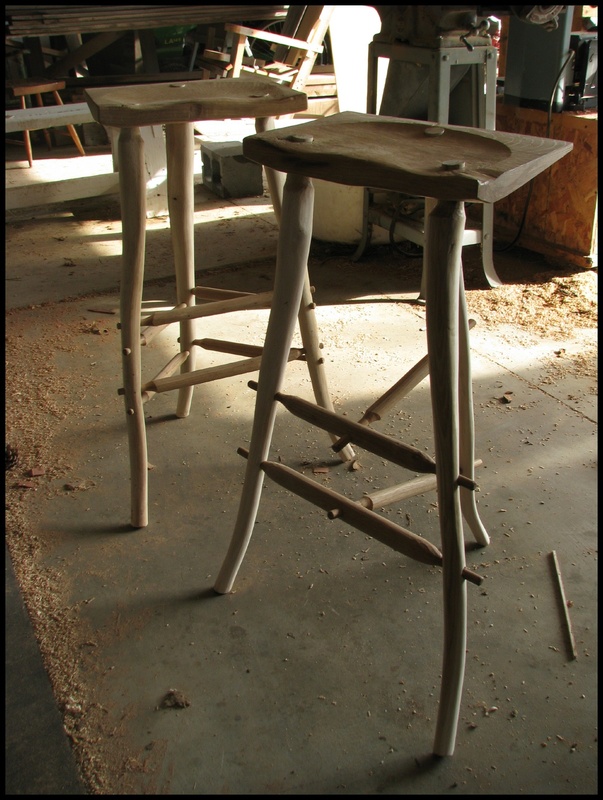 Also, the legs in this stool are a bit more cantankerous. 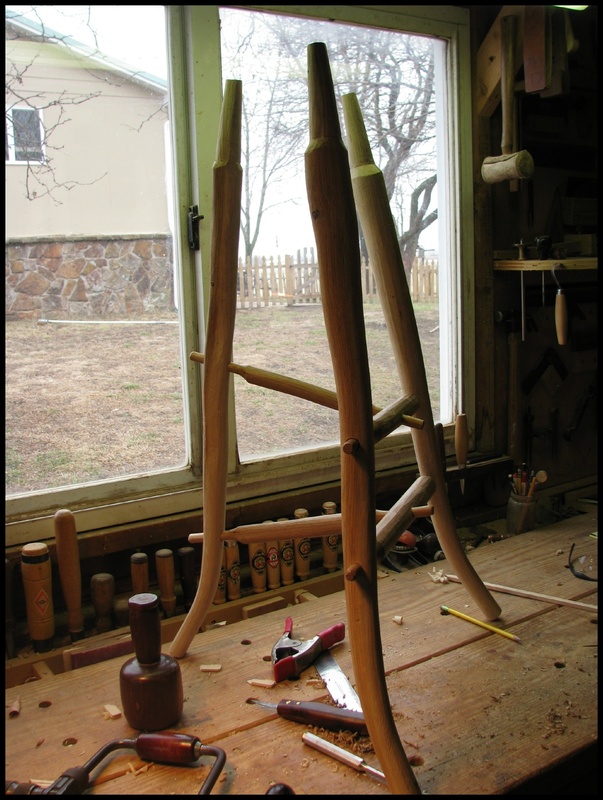 The legs dry fit with rungs. The seat. I counted over 100 annual rings in this seat. Fully assembled, and awaiting finishing touches. Both stools together. Here you can see the difference in the rung layout, the “T” on one and the triangle on the other. 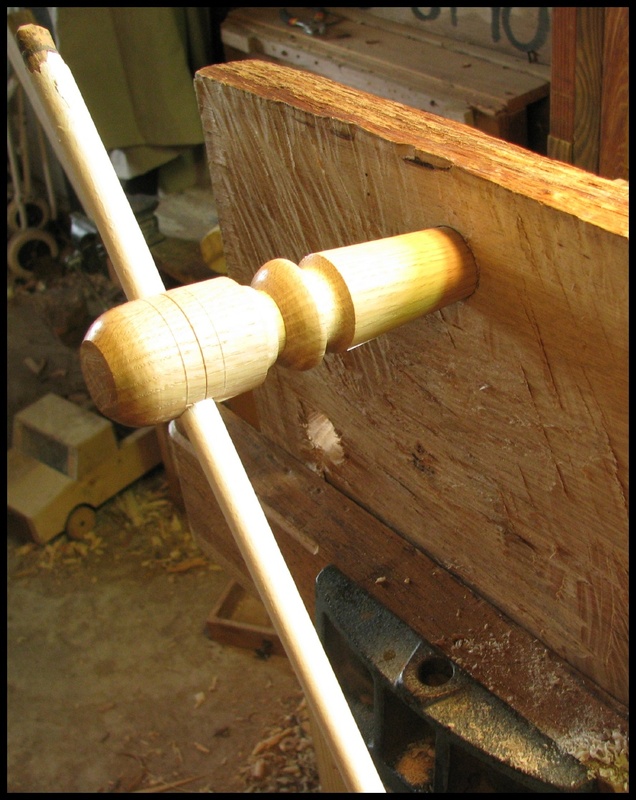 Do you have some machine to make the tenons? Those look near impossible to do by hand.